Three Phase CMC 5 HP Openwell Pumpset, 501-1000 Lpm, 2.5" X 2.5"
To retain our goodwill in clients' consideration, we are manufacturing and supplying an excellent range of Openwell Submersible Pump. - Used to pump the water from the sump tank to the over head tank. We are among the reputed organizations, highly engaged in offering an optimum quality range of Sumbersible Openwell Pump. 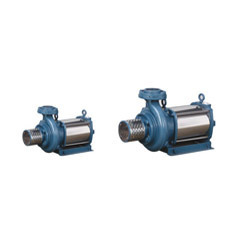 This pump is available in various specifications as per the demands of our precious clients. 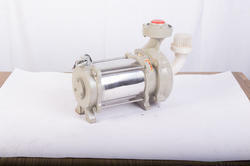 The offered pump is highly acknowledged by our clients for its excellent performance and low maintenance features.